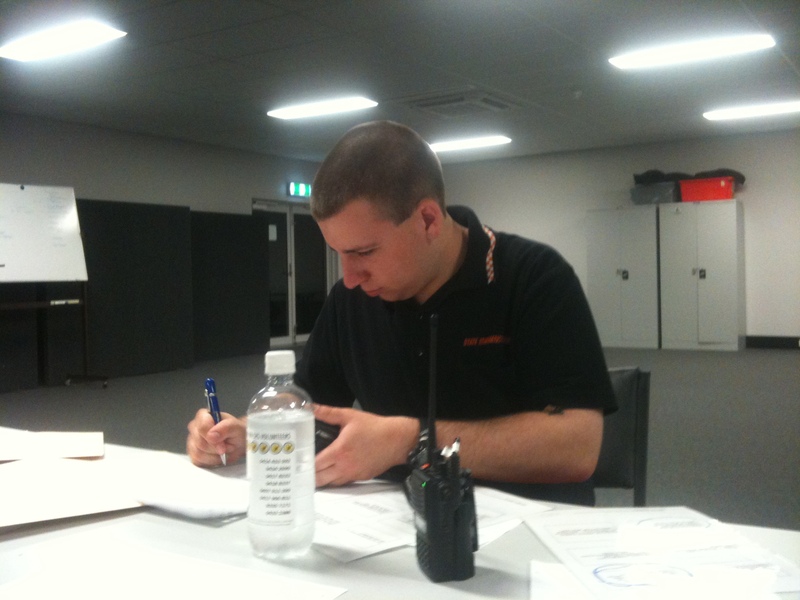 This past fortnight, some of our members have been training to become base radio operators. Personnel are given radios and as base radio operators (the central radio operator) send and receive messages, recording every message on a communications log and a specific ‘message’ form. This training enables personnel to operate the base radio during an incident such as a search or a storm operation. It can be very demanding work and personnel have to scribe correctly and quickly! This training took place at our Cockburn SES base. Below is a photo of Mark scribing all the messages he receives.